It's one of Canada's coldest cities. Very cold - with winter temperatures plunging as low as -35C. 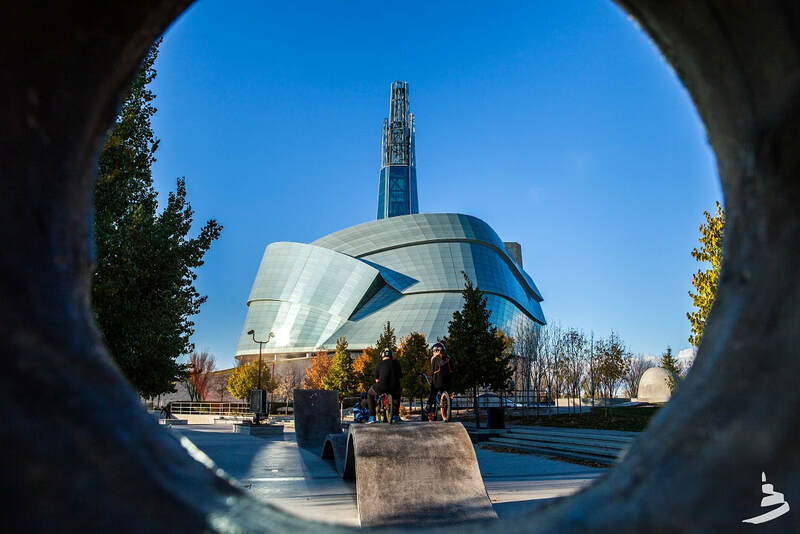 But Winnipeg – in the geographic centre of Canada and North America – is a four-season destination and a cultural, diverse and vibrant hot spot - even when it's a cold spot. As features editor, John Newton, found out, Winnipeg has come of age since he was last there 21 years ago. 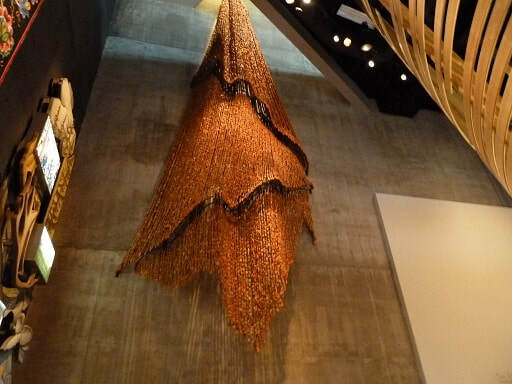 Now the city boasts a world-class museum, a government building that has its own 'Da Vinci Code'; a pulsating city centre site with 6000 years of history and a gourmet haven with restaurants comparable with the best in London, New York and Paris. And there's much more if you have the time to take in countless museums, an award-winning zoo that features a world premier Arctic species exhibit with polar bears the main attraction, and a National Historic Site that has North America's best and largest collection of heritage buildings. 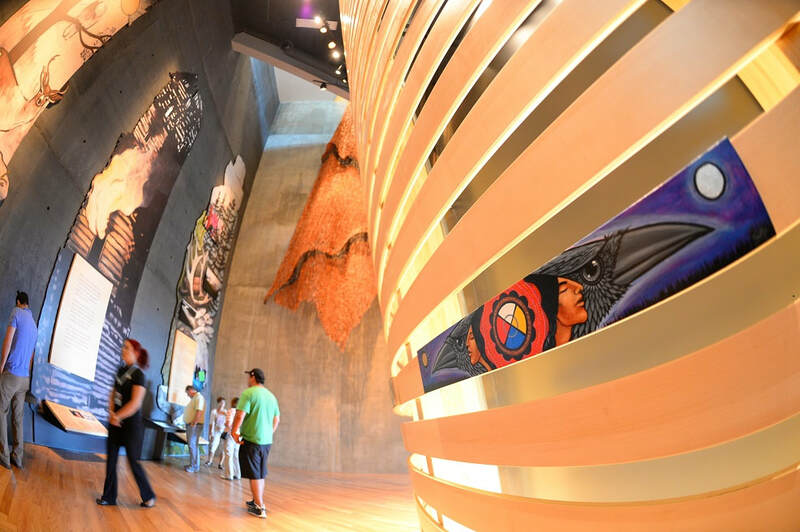 But the city's prized asset is the Canadian Museum for Human Rights (CMHR) – the world's first and only museum dedicated to human rights education and awareness. This is no ordinary museum - both inside and outside. It's been labelled 'an architectural marvel that has dramatically altered the skyline of Winnipeg'. At the top, the Israel Tower of Hope rises to 100 metres – equivalent to a 23-storey building, while inside visitors ascend through exhibit spaces along a kilometre of glowing ramps clad in Spanish alabaster. Built on historic First Nations Treaty One land and the heartland of the Metis indigenous people, CMHR cost more than CAD$350 million. Opened in 2014, it's also the only one of Canada's six national museums to be located in Western Canada. Its mandate is 'to explore the subject of human rights with special – but not exclusive – reference to Canada, in order to enhance the public's understanding of human rights, to promote respect for others and to encourage reflection and dialogue.' And its motto is: 'All human beings are born free and equal in dignity and rights'. 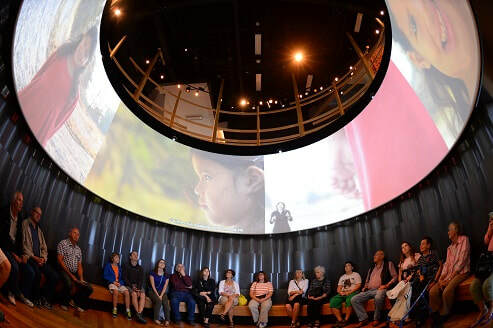 The museum's exhibits include more than 100 hours of video; four feature films; an immersive multimedia experience; 26 small formal films; 32 large-scale linear media projections; 512 video clips. Over 300 artefacts and works of art; more than 2500 images; 100,000 words of original text and seven theatres. Human rights stories are showcased from multiple perspectives – in unique and remarkable ways. They include the amazing story of hair salon owner, Violet Desmond who, in 1946, went to a movie. Unaware that the cinema was segregated, the black Nova Scotian woman chose to a main-floor seat. When she refused to move to the balcony for 'coloured' patrons, the authorities jailed her. At Desmond's trial, no-one admitted that race was behind her arrest. She was convicted of failing to pay ONE cent in tax. Her courage in standing up to discrimination inspired many others. In 2010, Nova Scotia posthumously pardoned Desmond. While segregation is now prohibited in Canadian law, many black Canadians still experience other forms of racial discrimination. Desmond will next year become the first woman to feature on a Canadian banknote – the new $10 bill - in place of the country's first Prime Minister, John A McDonald. Architectural historian – Frank Albo – has been dubbed Canada's Dan Brown (author of the Da Vinci Code). Albo is renowned for his discoveries into the free-masonic symbolism of Winnipeg's Manitoba Legislative Building, and was the mastermind of ‘The Hermetic Code'. Since 2009, Albo has led Hermetic Code tours of the Legislative Building during which visitors can decode the symbols and architecture of the building and uncover trails of occult clues concealed in its architecture, such as hidden hieroglyphic inscriptions, numerological codes and free-masonic symbols that had escaped notice for more than a century. Albo, who was born in Winnipeg, says he “stumbled upon a mystery in his own backyard” - a mystery that incorporates 5000 years of lost architectural knowledge. Unlike Brown's novel, Albo's story is true. 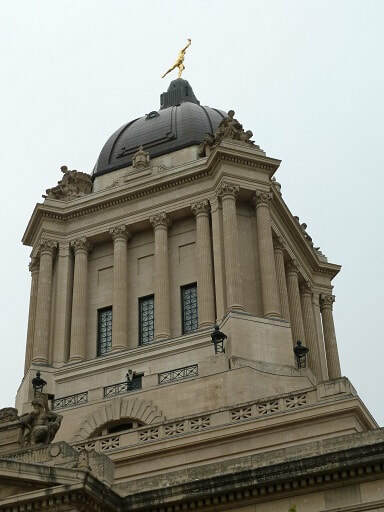 Poised atop the Manitoba Legislative Building is a four-metre bronze figure, but locals dubbed him 'Golden Boy' because of the sunlight that reflects off the gold-covered statue. 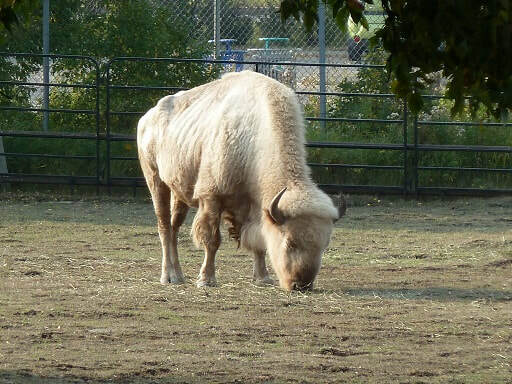 The Forks National Historic Site is a rambling riverside centre over 22 hectares (54 acres) that has become Manitoba's top tourist drawcard. 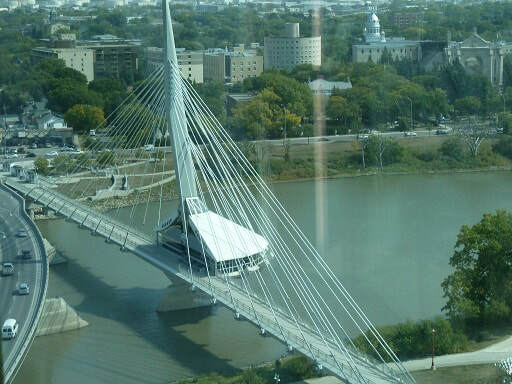 Located on ancestral indigenous land at the confluence of the Red and Assiniboine Rivers, The Forks has witnessed many key events in the history of Western Canada. Today, it's a hive of activity featuring among other things, festivals, museums, markets, meeting place, a hotel, theatre, world-class skateboard park and shops. The 'Wall Through Time' and river-walk to the Legislative Building depicts its 6000 years of history. Visitors can join a Parks Canada guide on a walking tour and uncover what lies beneath their feet and hear epic stories - from as early as 4000 B.C. before European explorers arrived when the land was a traditional native peoples' stopping place, the fate of the four fur trade trading posts and how the city of Winnipeg, centred at The Forks, hit boom times and became the 'Gateway to the Canadian West'. With the Winnipeg-Churchill rail track closed indefinitely because of flood damage, the only way to get to the polar bear capital is by aircraft. 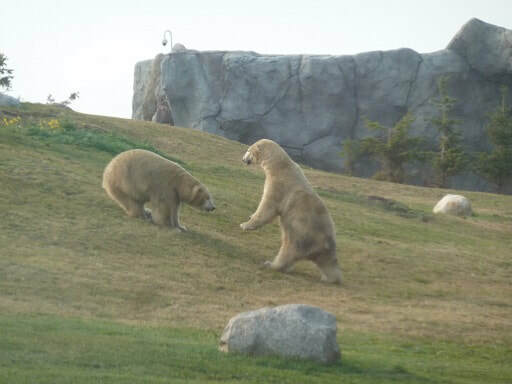 This has led to the 'Journey to Churchill' becoming the signature exhibit at Winnipeg's Assiniboine Park Zoo with orphaned polar bear cubs the top attraction, joining Arctic fox, muskox, wolves and other northern species. A female cub was rescued by a zoo team late last year after being observed alone for some time in the Churchill area without its mother before wandering near the township. 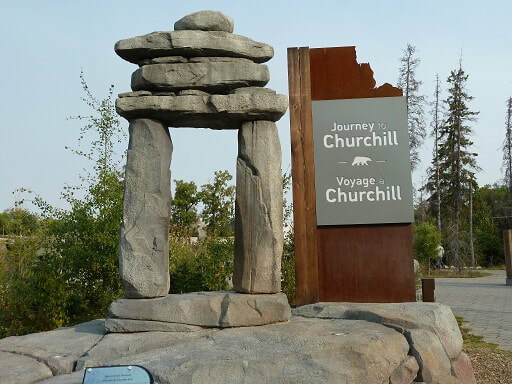 The zoo's 'Journey to Churchill' exhibit - currently home to seven polar bears - focuses visitors' attention on the species, people and issues important to the Arctic, while educating them about the significance of action against climate change. The CAD$11 million Thermea by Nordik Spa-Nature – specialising in relaxation and healing - where you can end the day with a Finnish sauna and soak in the thermal pools and waterfalls. Place to stay: Fort Garry Hotel, a stand-out building and a National landmark, now past its 10th decade on Broadway (the Winnipeg version). One of Canada's grand hotels, and a former Grand Trunk Pacific Railway property, it's just a stone's throw from the city's Union Station. * Maque – jumbo crab, bacon, lobster & coconut red curry bisque, caviar, chive. * Resto (at Thermea) – Half rack of wild boar, baby back ribs, spice-rubbed and then glazed with house-made apricot marmalade, served with baby potatoes and seasonal vegetables. carrot fries: beer-battered, soft herb, jalapeno buttermilk dip. * Capital Grill Bar – pan-roasted organic salmon. * Clementine (daytime only) – smoked Arctic char.